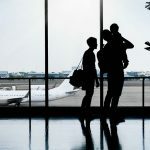 ST. PETERSBURG, Fla. January 23, 2019 — Amid growing concerns over extreme weather and the government shutdown affecting travel, many travelers are relying on travel insurance to protect their trip investments. According to Squaremouth data, the number of travelers insuring their trips is at an all-time high, increasing by 24% over last year. As travelers plan their trips for the year ahead, Squaremouth shares their guide to finding the best travel insurance in 2019. One of the most common mistakes made by travelers is purchasing travel insurance too late. Travel insurance only pays Trip Cancellation or Trip Interruption benefit claims on policies purchased before a covered event takes place, such as bad weather or illness, so it is key to purchase a policy early in order to get the most out of these benefits. Buying early also increases your chance of being eligible for certain time-sensitive coverages, including the popular Pre-Existing Condition and Cancel For Any Reason benefits. Travelers who are offered a policy through their cruise line, airline, or credit card should always compare it with other policies on the market to make sure they are getting the coverage they need at the lowest cost. Coverage from a travel supplier can be similar to that of a third-party provider in terms of cost, but may have limited coverage and fewer benefits. The best way for travelers to find the most comprehensive policy that fits their needs is by shopping around and using a third-party comparison site, such as Squaremouth.com, to compare premiums and coverages. A higher price tag doesn’t necessarily mean better service or better benefits when it comes to travel insurance. When shopping for a policy, travelers should first decide how much coverage they need for their trip, and then select the least expensive policy that meets their specific needs. For example, there’s typically no need to spend more for a policy with $1 million in Medical Evacuation coverage. In most cases, $100,000 is more than sufficient for your destination. Travelers insuring the cost of a trip can expect to spend an average of 7% of their trip cost on a policy, so it is important to remember: the lower the trip cost, the lower the premium. Travelers should only insure costs they would lose if they are unable to travel, such as airfare and hotel costs. For example, if a hotel requires travelers to pay a $200 penalty to cancel a reservation, they should insure just that amount, rather than the full cost of the hotel. Travelers planning to take more than two trips in 2019 could save money by choosing an annual travel insurance policy instead of insuring each trip separately. Annual policies typically only provide Emergency Medical and Medical Evacuation coverage and come with additional restrictions, such as the length of the longest trip and the number of trips allowed within the coverage period. Therefore, travelers looking for Trip Cancellation coverage or taking trips longer than the specified maximums on the policy would want to opt for a Single Trip Policy.